Mint state and key date listed Barber Quarter values is for graded, certified and authenticated coins in PCGS or NGC holders. The rest are a sample of raw coin sell but this is not a guarantee your coin with the same date, mint, grade and holder will sell for this exact value. 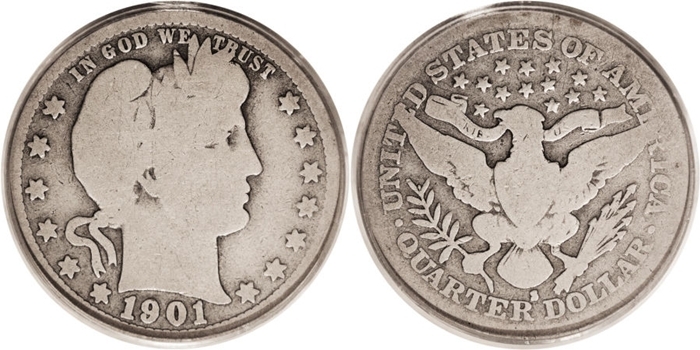 Barber Quarter Value is based on the date and mint's survival rate then the grade condition.